Located in the shadow of Mount Vesuvius, Herculaneum was an ancient Roman town destroyed by volcanic pyroclastic flows in 79 AD. Its ruins are located in the comune of Ercolano, Campania, Italy. The Flavians also initiated economic and cultural reforms. Under Vespasian, new taxes were devised to restore the Empire's finances, while Domitian revalued the Roman coinage by increasing its silver content. A massive building programme was enacted by Titus, to celebrate the ascent of the Flavian dynasty, leaving multiple enduring landmarks in the city of Rome, the most spectacular of which was the Flavian Amphitheatre, better known as the Colosseum. 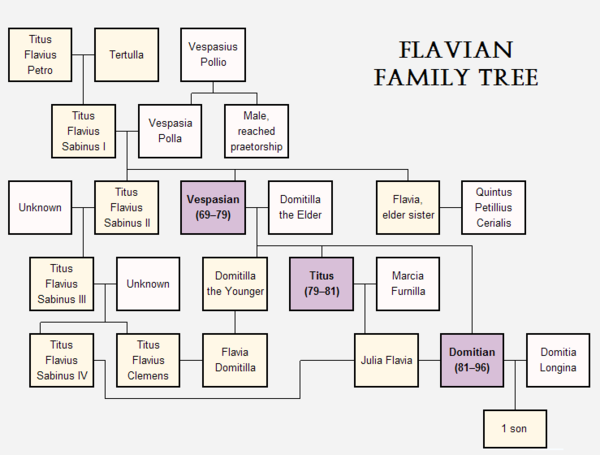 The Flavian dynasty was unique among the four dynasties of the Principate Era, in that it was only one man and his two sons, without any extended or adopted family. Ferentium was a town of ancient Etruria, situated near the modern city of Viterbo in the northern part of the Roman province of Latium, now in modern Lazio. The city was also known as Ferentinum, Ferentum or Ferentia, and should not be confused with ancient Ferentinum, which is in southern Lazio. Although the war had officially ended, a state of anarchy and lawlessness pervaded in the first days following the demise of Vitellius. Order was properly restored by Mucianus in early 70, who headed an interim government with Domitian as the representative of the Flavian family in the Senate. Upon receiving the tidings of his rival's defeat and death at Alexandria, the new Emperor at once forwarded supplies of urgently needed grain to Rome, along with an edict or a declaration of policy, in which he gave assurance of an entire reversal of the laws of Nero, especially those relating to treason. In early 70, Vespasian was still in Egypt, however, continuing to consolidate support from the Egyptians before departing. By the end of 70, he finally returned to Rome, and was properly installed as Emperor. 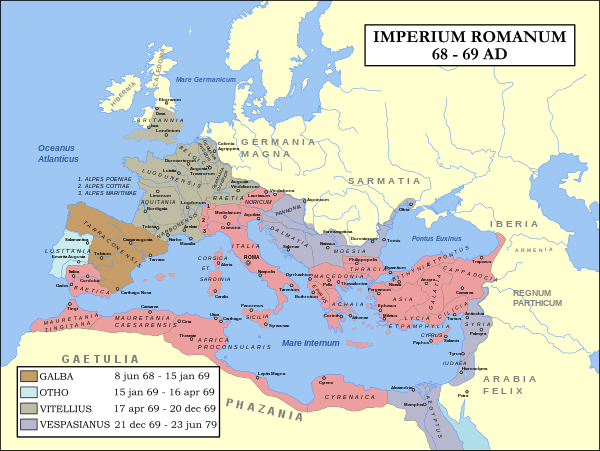 Since the fall of the Republic, the authority of the Roman Senate had largely eroded under the quasi-monarchical system of government established by Augustus, known as the Principate. The Principate allowed the existence of a de facto dictatorial regime, while maintaining the formal framework of the Roman Republic. Most Emperors upheld the public facade of democracy, and in return the Senate implicitly acknowledged the Emperor's status as a de facto monarch. The civil war of 69 had made it abundantly clear that real power in the Empire lay with control over the army. By the time Vespasian was proclaimed emperor in Rome, any hope of restoring the Republic had long dissipated. 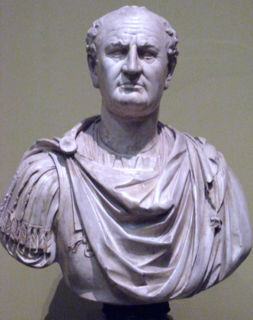 One of Vespasian's first acts as Emperor was to enforce a tax reform to restore the Empire's depleted treasury. After Vespasian arrived in Rome in mid-70, Mucianus continued to press Vespasian to collect as many taxes as possible,  renewing old ones and instituting new ones. Mucianus and Vespasian increased the tribute of the provinces, and kept a watchful eye upon the treasury officials. The Latin proverb "Pecunia non olet" ("Money does not smell") may have been created when he had introduced a urine tax on public toilets. Jones estimates Domitian's annual income at more than 1,200 million sestertii, of which over one-third would presumably have been spent on maintaining the Roman army. The other major area of expenditure encompassed the vast reconstruction programme carried out on the city of Rome itself. The most significant military campaign undertaken during the Flavian period was the siege and destruction of Jerusalem in 70 by Titus. 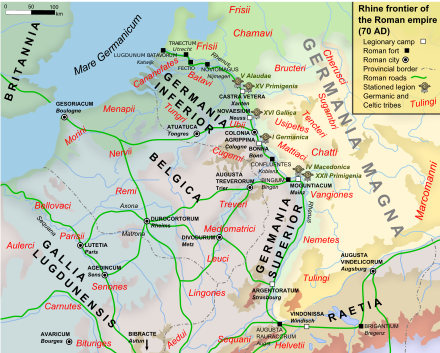 The destruction of the city was the culmination of the Roman campaign in Judaea following the Jewish uprising of 66. The Second Temple was completely demolished, after which Titus's soldiers proclaimed him imperator in honor of the victory. Jerusalem was sacked and much of the population killed or dispersed. Josephus claims that 1,100,000 people were killed during the siege, of which a majority were Jewish. 97,000 were captured and enslaved, including Simon Bar Giora and John of Giscala. Many fled to areas around the Mediterranean. Titus reportedly refused to accept a wreath of victory, as there is "no merit in vanquishing people forsaken by their own God". Upon his return to Rome in 71, Titus was awarded a triumph. Accompanied by Vespasian and Domitian, he rode into the city, enthusiastically saluted by the Roman populace and preceded by a lavish parade containing treasures and captives from the war. Josephus describes a procession with large amounts of gold and silver carried along the route, followed by elaborate re-enactments of the war, Jewish prisoners, and finally the treasures taken from the Temple of Jerusalem, including the Menorah and the Torah. Leaders of the resistance were executed in the Forum, after which the procession closed with religious sacrifices at the Temple of Jupiter. The triumphal Arch of Titus, which stands at one entrance to the Forum, memorializes the victory of Titus. Although his administration was marked by a relative absence of major military or political conflicts, Titus faced a number of major disasters during his brief reign. On August 24, 79, barely two months after his accession, Mount Vesuvius erupted,  resulting in the almost complete destruction of life and property in the cities and resort communities around the Bay of Naples. 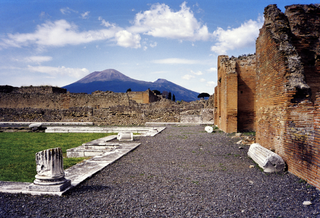 The cities of Pompeii and Herculaneum were buried under metres of stone and lava,  killing thousands of citizens. Titus appointed two ex-consuls to organise and coordinate the relief effort, while personally donating large amounts of money from the imperial treasury to aid the victims of the volcano. Additionally, he visited Pompeii once after the eruption and again the following year. The city was lost for nearly 1700 years before its accidental rediscovery in 1748. Since then, its excavation has provided an extraordinarily detailed insight into the life of a city at the height of the Roman Empire, frozen at the moment it was buried on August 24, 79. The Forum, the baths, many houses, and some out-of-town villas like the Villa of the Mysteries remain surprisingly well preserved. Today, it is one of the most popular tourist attractions of Italy and a UNESCO World Heritage Site. On-going excavations reveal new insights into Roman history and culture. During Titus' second visit to the disaster area, a fire struck Rome which lasted for three days. Although the extent of the damage was not as disastrous as during the Great Fire of 64, crucially sparing the many districts of insulae, Cassius Dio records a long list of important public buildings that were destroyed, including Agrippa's Pantheon, the Temple of Jupiter, the Diribitorium, parts of Pompey's Theatre and the Saepta Julia among others. Once again, Titus personally compensated for the damaged regions. According to Suetonius, a plague similarly struck during the fire. The nature of the disease, however, as well as the death toll, are unknown. Both Tacitus and Suetonius speak of escalating persecutions toward the end of Domitian's reign, identifying a point of sharp increase around 93, or sometime after the failed revolt of Saturninus in 89. 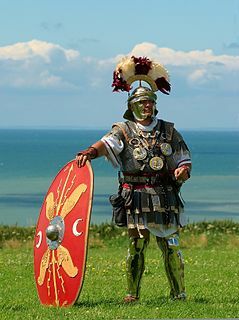 At least twenty senatorial opponents were executed,  including Domitia Longina's former husband Lucius Aelius Lamia and three of Domitian's own family members, Titus Flavius Sabinus IV, Titus Flavius Clemens and Marcus Arrecinus Clemens. Some of these men were executed as early as 83 or 85, however, lending little credit to Tacitus' notion of a "reign of terror" late in Domitian's reign. According to Suetonius, some were convicted for corruption or treason, others on trivial charges, which Domitian justified through his suspicion. Titus and Domitian also revived the practice of the imperial cult, which had fallen somewhat out of use under Vespasian. Significantly, Domitian's first act as Emperor was the deification of his brother Titus. Upon their deaths, his infant son, and niece Julia Flavia, were likewise enrolled among the gods. To foster the worship of the imperial family, Domitian erected a dynastic mausoleum on the site of Vespasian's former house on the Quirinal,  and completed the Temple of Vespasian and Titus, a shrine dedicated to the worship of his deified father and brother. To memorialize the military triumphs of the Flavian family, he ordered the construction of the Templum Divorum and the Templum Fortuna Redux, and completed the Arch of Titus. In order to further justify the divine nature of Flavian rule, Domitian also emphasized connections with the chief deity Jupiter,  most significantly through the impressive restoration of the Temple of Jupiter on the Capitoline Hill. An estimated 135 million sestertii was spent on donatives, or congiaria , throughout Domitian's reign. In addition, he also revived the practice of public banquets, which had been reduced to a simple distribution of food under Nero, while he invested large sums on entertainment and games. In 86, he founded the Capitoline Games, a quadrennial contest comprising athletic displays, chariot races, and competitions for oratory, music and acting. Domitian himself supported the travels of competitors from the whole Empire and attributed the prizes. Innovations were also introduced into the regular gladiatorial games, such as naval contests, night-time battles, and female and dwarf gladiator fights. Finally, he added two new factions, Gold and Purple, to chariot races, besides the regular White, Red, Green and Blue teams. ↑ The exact number of casualties is unknown; however, estimates of the population of Pompeii range between 10,000 ( "Archived copy". Archived from the original on 2008-07-08. Retrieved 2009-03-10. CS1 maint: Archived copy as title (link)) and 25,000 (), with at least a thousand bodies currently recovered in and around the city ruins. 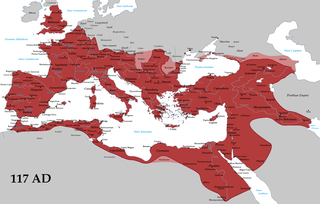 The gens Vitellia was a family of ancient Rome, which rose from obscurity in imperial times, and briefly held the Empire itself in AD 69. The first of this gens to obtain the consulship was Aulus Vitellius, uncle of the emperor Vitellius, in AD 32. 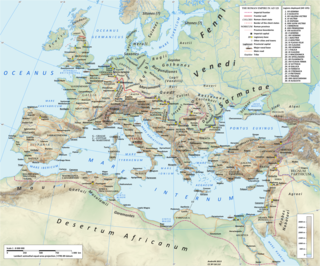 Wikimedia Commons has media related to Vespasianus , Titus and Domitianus . "A Gallery of Flavian Coins".